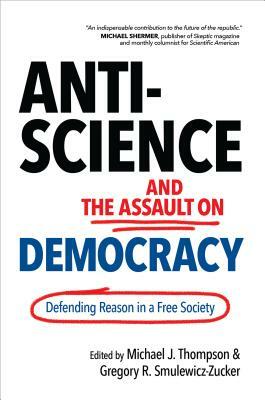 Defending the role that science must play in democratic society--science defined not just in terms of technology but as a way of approaching problems and viewing the world. Michael J. Thompson is professor of political theory in the department of political science at William Paterson University. He is the founding editor of Logos: A Journal of Modern Society and Culture; the author of four books, including The Domestication of Critical Theory and The Politics of Inequality; and the editor of eight previous books, including The Palgrave Handbook of Critical Theory. Gregory R. Smulewicz-Zucker is a graduate student in the Department of Political Science at Rutgers University, New Brunswick. He is the managing editor of Logos and the editor The Political Thought of African Independence; Strangers to Nature: Animal Lives and Human Ethics; and Radical Intellectuals and the Subversion of Progressive Politics (with Michael J. Thompson).